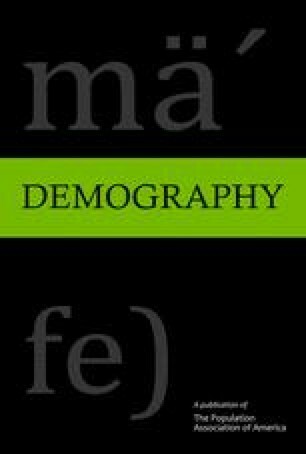 We investigate the influence of family background on early entry into marriage and parenthood among white, Hispanic, and black men and women ages 14 to 22 in the first (1979) wave of the National Longitudinal Survey of Youth. Family background is highly associated with early entry into marriage for whites of both genders and female Hispanics and also with early entry into parenthood for all groups except black males. Large group differences in family characteristics explain most of the difference between white and Hispanic women in early marriage and parenthood and about half the difference in early parenthood between black and white women but do not explain the observed variations among other race-gender groups. An erratum to this article is available at http://dx.doi.org/10.2307/2061431.